Modern Martial Arts techniques that are adapted from the responses of animals in their natural environments tend to be more effective than natural human responses. Consequently, today’s extensive training programs often focus on reducing or eliminating rational thought in Martial Arts execution, because of the ability of Martial Arts techniques to outpace human thought. The related training approaches of some modern Martial Arts styles, Kung fu, for example, include an emphasis on the practice of a series of orchestrated techniques modeled on specific moves of certain types of animals (tigers, bears, cranes, and others). Training on the resulting choreographed forms, commonly referred to as katas, helps develop human fighting styles based on the aggressive and effective behavior of animals. These forms seek to embody the physical dynamics (especially speed, strength or acrobatic moves) of animals. They also seek to capture the essence of an animal’s particular skill or technique. Image 10 shows an alert cat demonstrating the principle of grounding out. A classic example of emulated animal behavior, called grounding out, is practiced in To shin do. A typical first response, when startled, of wild or even domesticated animals is to ground themselves and lower their bodies so that they can react quickly in any direction. This response to a surprise attack requires a sinking leg action in which the knees are deeply bent to form a balanced and grounded connection to the earth. In so doing, the human body is ready to react to an attack from nearly any direction. In addition, reaction times are greatly improved. An untrained human response to an unanticipated attacker is normally described as rising up. This is a less advantageous response because it causes the body to become tense with slowed reaction times. 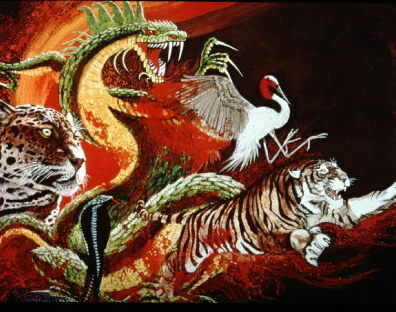 Image 11 from left to right shows a leopard, a snake, a dragon, a crane, and then a tiger. These animals’ movements and traits are those commonly emulated in martial arts. In the traditions of Shaolin Kung fu, animal styles are prevalent. Tiger movements are mirrored to form a highly aggressive fighting style based on strong attacks. 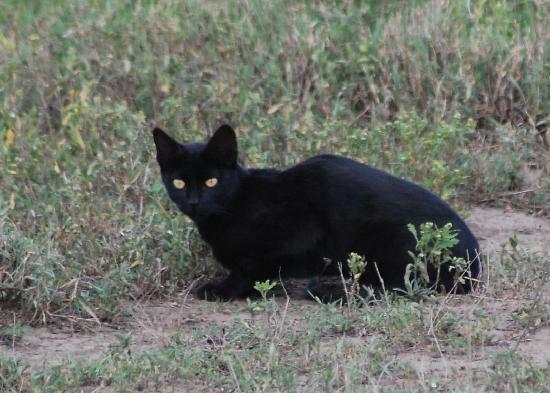 Panther movements are imitated to promote the development of unpredictable attack styles. The crane’s innate ability to avoid attacks and conflicts is studied and adapted to human applications. The snake’s quick reactionary counters are reflected in the styles of the Shaolin Kung Fu Academy. Qigong applications leverage a wide range of crouching tiger movements and additionally link related practices to internal human body functions (such as those of the liver). The movements of mythical dragons or deer are emulated and linked to healthy functions of the human heart. Bear movements are analyzed, and the practices of related styles are connected to healthy human digestive functions. The natural actions of eagles are bound to healthy lung functions. Those of monkeys are linked to healthy kidney functions. The modeling of Martial Arts styles based on animal behaviors are yet another indication that they are always conceived and practiced in an environmental context.